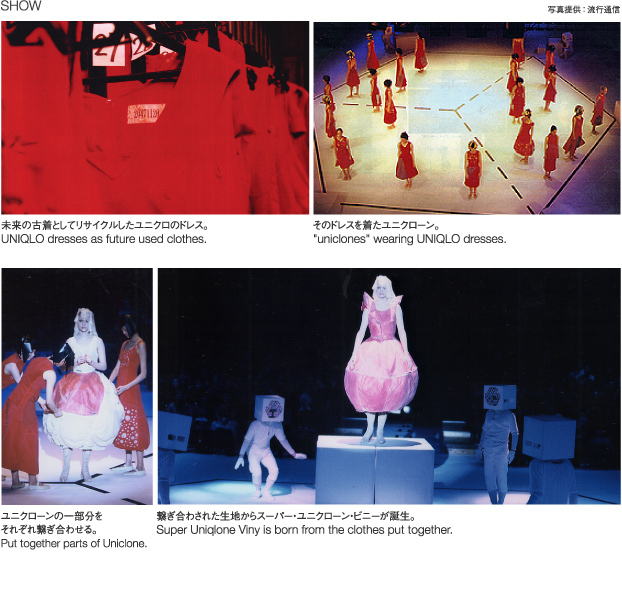 The motif of the collection was UNIQLO garments as the symbol of consumer culture. 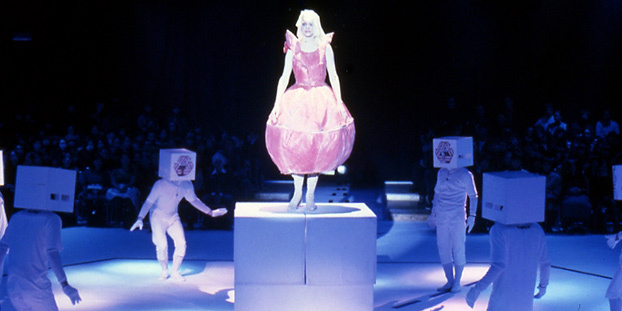 Since this project was representing the millennium, the collection was took place as count-down collection and included "2001: A Space Odyssey". At the second hall, people send balloons Re-Box attached in to the 21st century.